480-456-8888 | Increase Your Retail Window By Trimming Your Trees. Trees Have Many Purposes In A Landscape In Any Area. They Add Value To Your Property, Help Regulate Temperatures On Your Property, Help Save Energy By Providing Much Needed Shade, And Provide Protection And Food For Wildlife. Tree Trimming Is About Improving The Health Of Your Trees, Reducing Liability On Your Property, And Ultimately Improving The Visual Appearance Of Your Commercial Property. Appropriately Pruned Trees Are Stronger, Healthier, And More Attractive Than Trees Not Receiving Proper And Timely Tree Trimming. 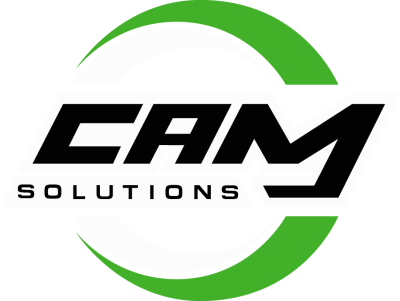 Tree Trimming Is A Common Procedure Of Professional Grounds Maintenance Companies Such As CAM Solutions. Proper Tree Trimming Can Enhance A Tree’s Natural Beauty And Also Promote A Tree’s Health And Longevity. As With Anything Else, Improper Tree Trimming And Pruning Practices Can Cause Irreversible Damage By Weakening The Plant And Shortening The Life Of The Tree. Each Branch That Is Removed Or Not Removed Has The Potential To Change How A Tree Grows. With This In Mind, A Branch Should Not Be Removed Without A Good Reason. CAM Solutions Understands How And Why Tree Trimming Is Necessary And Knows What Is Best For Your Landscape Needs. There Are Times When A Tree Can’t Or Shouldn’t Be Saved, And We Can Help You Make That Decision As Well. Safety Purposes – Dead And Broken Branches And Twigs Can Cause Safety Hazards And Obstructions. For Instance, Dead Wood Over A Roof Or Raising A Tree’s Crown That Interferes With Pedestrian Sidewalks, A Driver’s Line Of Vision, And Entryways Into Buildings. Branches Growing Too Close To Utility Lines Can Be One Of The Most Dangerous Of Scenarios. Always Hire A Professional Service Such To Keep Your Business In Compliance And Individuals Out Of Harm’s Way. Tree Health – Thinning The Crown Of A Tree Can Allow For Better Airflow And Light Adding To The Health Of The Tree By Increasing Light And Wind Penetration Throughout The Crown. A Diseased Or Infected Tree Can Be Saved By Trimming Or Pruning Of Its Branches. In Many Cases, The Removal Of Several Branches By Thinning Can Relieve Excessive Weight On Major Branches. Storm Preparations – Be Prepared For Less Damage From The Next Storm By Trimming Your Trees Before The Season Is Upon You. Tree Limbs Falling During A Storm Can Be A Health And Property Hazard. It Is Possible To Save Many Trees After Storm Damage If Done Properly By A Professional. Check Trees For Branches Which Are Hanging Or Under Tension And Seek The Professional Guidance For Assistance. Aesthetics – Trees In The Woods Or Rural Settings Usually Grow Well Because They Don’t Have To Contend With Our Urban Environment. Trees In Landscape Areas Require Considerable Attention In Order To Successfully Coexist With People, Automobiles, And Buildings. Aesthetic Pruning Can Enhance The Natural Form And Character Of Your Trees And Have A Positive Impact On The Beauty Of Your Entire Property. However, Too Much Shaping And Pruning Can Damage A Tree. A Professional Knows Where To Draw The Line When Shaping A Tree For Aesthetic Purposes. Root Damage – When Trees Are Leaning, This Is Usually Due To Irreversible Root Damage. Let Our Professionals Help You Make The Decision On Trimming Or Removing Such Trees Through A Visual Tree Assessment. Always Remember That Each Type Of Tree Requires Trimming Expertise So You Should Always Consult An Expert For Your Tree Trimming Purposes. Correct Tools And Procedures Need To Be Used. For These And Many Other Reasons, Don’t Take The Job On Yourself, Contact CAM Solutions, A Professional And Licensed Contractor, To Take The Work And Worry Away From You.